Mr. Silverstein served as the Boston Symphony Orchestra’s concertmaster for 22 years and as its assistant conductor from 1971 to 1984. When Joseph Silverstein first auditioned for the Boston Symphony Orchestra’s violin section, someone had to call the librarian for help. More music was needed in order to find something for Mr. Silverstein to sight-read. While he was only 30 at the time, he had already played everything in the audition file. He got the job. About a year later, when he was sitting as last-chair violinist, the formidable music director Charles Munch summoned Mr. Silverstein to a private meeting. “ ‘You must play with the orchestra,’ [Munch] said in his gruff way,” Mr. Silverstein recounted in an oral history project about his life. 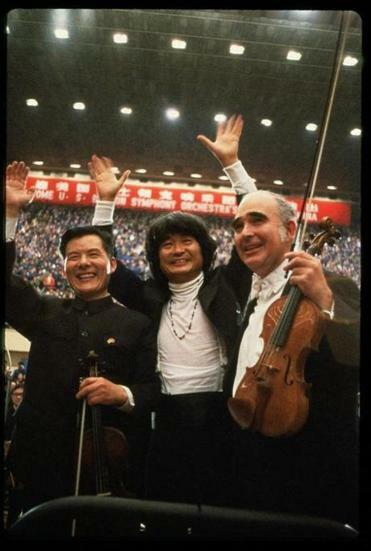 A Chinese concertmaster, BSO music director Seiji Ozawa, and Mr. Silverstein in Beijing in 1979. Mr. Silverstein accepted the conductor’s invitation. It would be the first of many. Mr. Silverstein, who was also the music director of the Utah Symphony from 1983 to 1998 and a committed teacher, died of a heart attack Saturday night in Baystate Medical Center in Springfield. He was 83. 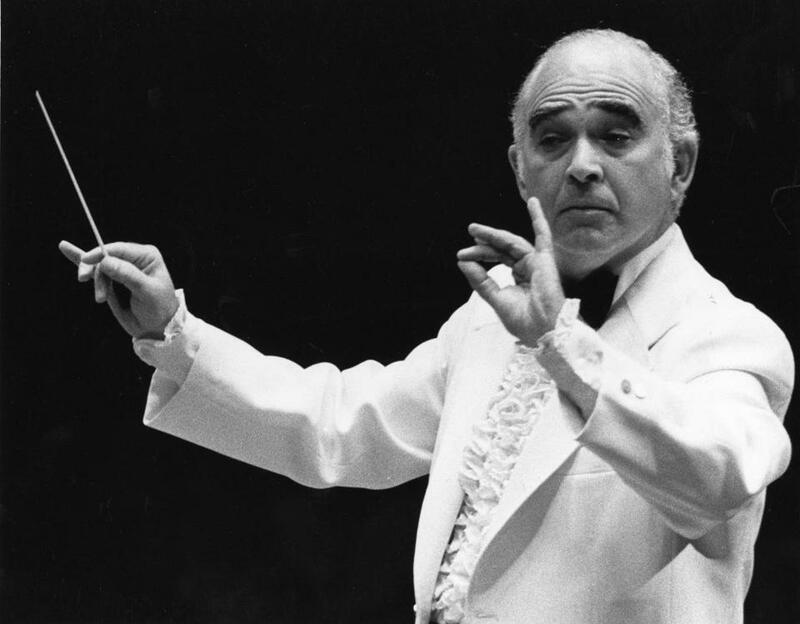 “Joseph (or Joey as we all addressed him) Silverstein was one of the most important figures in the history of the Boston Symphony Orchestra,” BSO managing director Mark Volpe said in a statement Sunday. Mr. Silverstein conducted the BSO in more than 100 performances. He held honorary degrees from seven schools and made many recordings with the BSO, the Utah Symphony, and the Boston Symphony Chamber Players, which he directed from its founding until his departure from the orchestra. He also served on the Tanglewood Music Center faculty. Mr. Silverstein was born in Detroit and began his lessons with his father, who was a music teacher in the public schools. 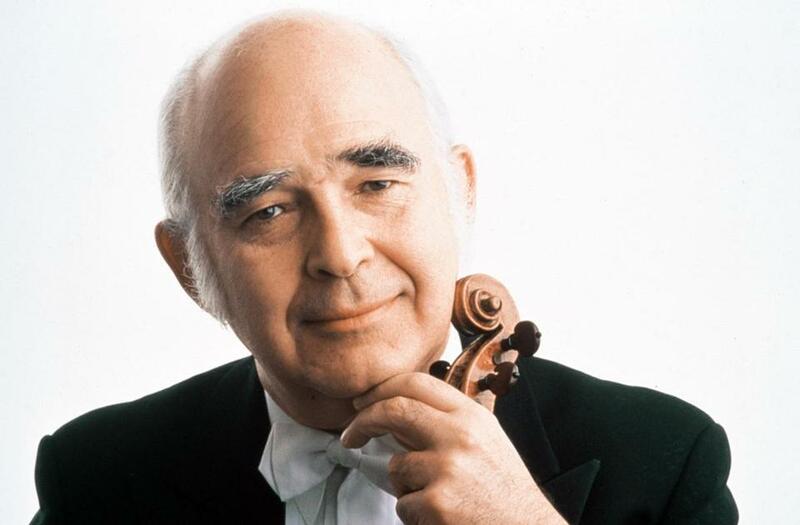 While showing great promise and arriving at the Curtis Institute of Music at the age of 12, Mr. Silverstein did not aspire to the life of a full-time traveling violin soloist. Two of his primary teachers — Josef Gingold and Mischa Mischakoff — were major concertmasters who had held the top chair at the Cleveland Orchestra under George Szell and the NBC Symphony under Arturo Toscanini, respectively. This made a deep impression. Mr. Silverstein played violin in an undated photo. Before joining the BSO, Mr. Silverstein played in the Houston Symphony, the Philadelphia Orchestra, and the Denver Symphony. 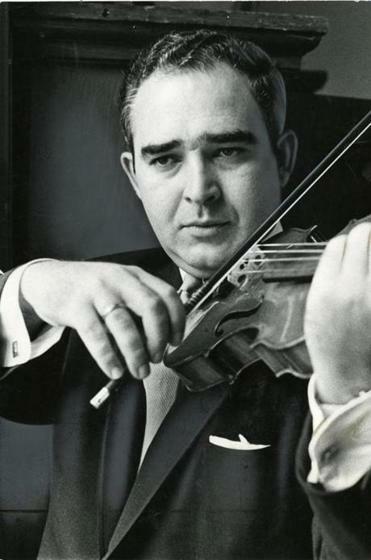 In 1960, Mr. Silverstein won the prestigious Naumburg Award, and he assumed the BSO concertmaster position in 1962. While in Boston, he also earned a large following through his performances as a soloist with many local ensembles, from the Civic Symphony to Banchetto Musicale — the predecessor of Boston Baroque. He also earned the respect of local composers, as was evidenced by the outpouring of tributes occasioned by his departure in 1984. Still, at the time of Mr. Silverstein’s departure from the BSO, perhaps the deepest tribute came from within his own profession. “The end of an era is here, not just in Boston, but in the history of the symphony orchestra,” Rafael Druian, former concertmaster of both the Cleveland Orchestra and the New York Philharmonic, told the Globe. Mr. Silverstein leaves his wife, the former Adrienne Shufro of West Stockbridge, whom he married in 1954; two daughters, Bunny of Brookline and Deborah of New York City; a son, Marc of Chicago; and four grandchildren. A private service will be held and his family will announce a public memorial in the spring. Mr. Silverstein’s appetite for music remained undiminished, even in his final years. He attended a BSO performance the day before he died, and attended a Metropolitan Opera simulcast on the day of his death. Mr. Silverstein conducted the Boston Symphony Orchestra at Tanglewood in an undated photo.